Cooper Goldby's two-run double and BJ Boyd's two-run triple keyed a late rally to help the Nashville Sounds to a 6-5 win Monday afternoon at First Tennessee Park. 7,782 fans watched the 2018 season finale and pushed the season attendance to over 600,000 for only the second time in the franchise's 41-year history. Cooper Goldby came to the plate and ripped a two-run double down the right-field line to pull the Sounds within a run at 5-4. It was the first Triple-A hit in Goldby's career. BJ Boyd followed with a line drive down the right-field line, scoring both runners to give the Sounds a 6-5 lead. The triple was Boyd's third hit of the game. He finished the day 3-for-4 with two RBI and a run scored. Nashville reliever Calvin Coker entered the ninth with a 6-5 lead and got the job done for his first save at the Triple-A level. The youngster issued a one-out walk and hit Andrew Knizner with two outs but got Lane Thomas to bounce out to second base to end the threat. Nashville trailed 4-0 early after Ramon Urias cracked a solo homer and Thomas hit a three-run homer in the top of the third inning. Melvin Mercedes trimmed a 5-0 deficit to 5-2 with a two-run single in the bottom of the sixth. Sounds' Right-hander Richard Morban kept it close in the later innings. The 20-year-old allowed one run in four innings of relief work and picked up his first win at the Triple-A level. 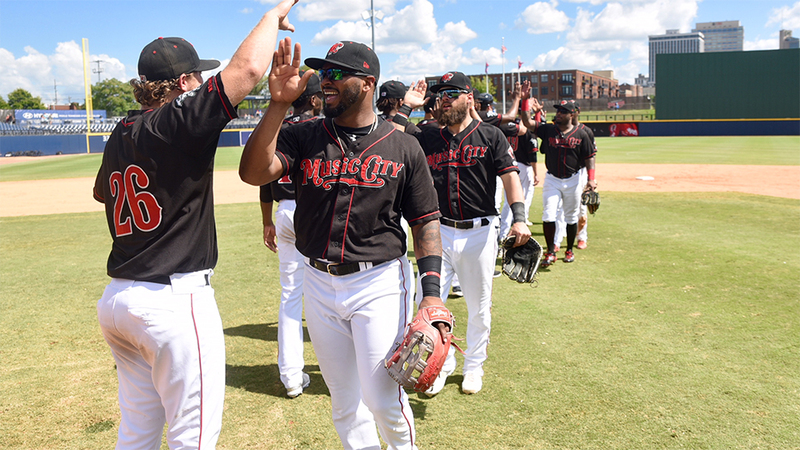 - With today's 6-5 win, the Sounds finished the 2018 season at 72-68. - Today's attendance of 7,782 pushed the season total to 603,135. It's the highest single-season attendance in First Tennessee Park history. - The Sounds finished with a home record of 41-29, the team's best home record in a single season at First Tennessee Park. - BJ Boyd finished 3-for-4, his sixth three-hit game of the season and his 27th multi-hit game overall.